Cardigan Bay Fisheries Local Action Group (FLAG) was established in 2012 with the aim of supporting the fisheries sector and fishing communities within the Cardigan Bay area. The group is administered by a lead body, Ceredigion County Council, with a Board made up of industry members, public, voluntary and academic representation. 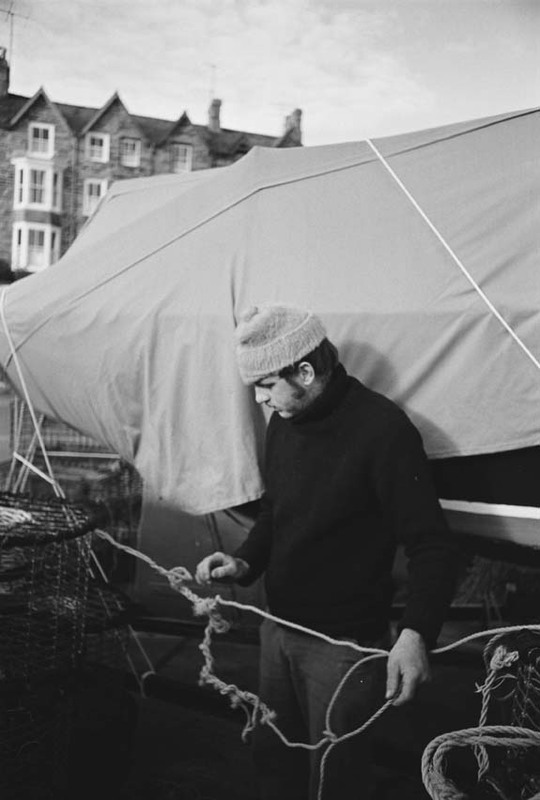 The objective of this microsite is to raise awareness of the rich heritage of the fishing industry around Cardigan Bay and how it continues to make a very real and positive impact on local communities through to this day. All photographs in the Industry Images section of the site, along with the Videos, are free resources to those who wish to use them to promote the local fishing industry and are available upon request. Given its long coastline and numerous rivers and streams blessed with fish, Cardigan Bay boasts a fishing industry well established for many centuries. With such a rich and colourful history, the timeline and bullet points below - along with the bibliography at the bottom of the page - offer a brief introduction to the wealth of history waiting to be discovered. Compiled during the 12th and 13th Centuries, references to fishing in Cardigan Bay are made in the Mabinogion, with Gwyddno Garanhir and son, Elffin, collecting £100 worth of fish from a Cored (fishing-weir) on the River Dyfi, north of Aberystwyth. An abundance for the Princes! In 1206, the Chronicles of Welsh Princes states Aberystwyth boasts “such abundance of fish that their like was never heard of”. By the end of the 14th Century, scattered references are made to the Cardiganshire fishing industry, with ports in Aberystwyth, Aberporth and Cardigan credited to be exporting fish to both British ports and as far afield as Madeira and the Canaries. 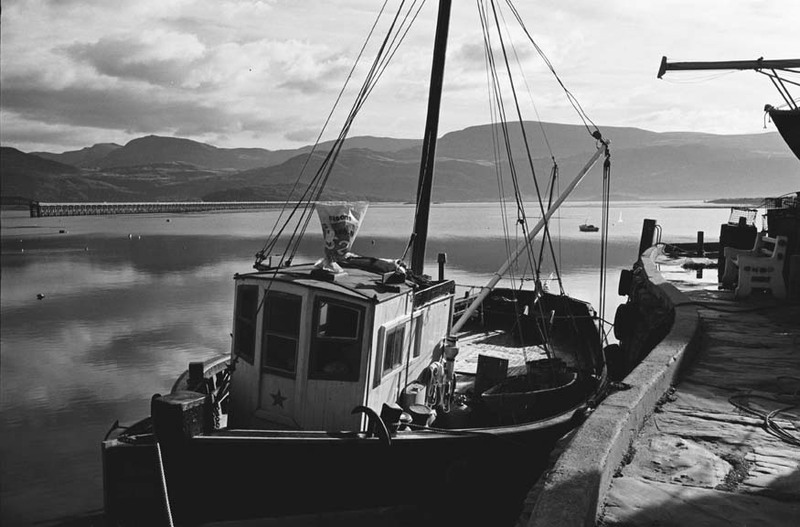 By the early 16th Century, Aberdyfi had developed into the main herring fishing centre for Cardigan Bay and described by one contemporary as a “grate trade of ffishinge and moche resort yerely at Michaelmas for herring”. In 1732, 113 bottle-nosed dolphins were driven into crevices in rocks at Aberystwyth, with the local people profiting greatly from their blubber, which was held in high regard and deemed superior to that brought from Greenland. 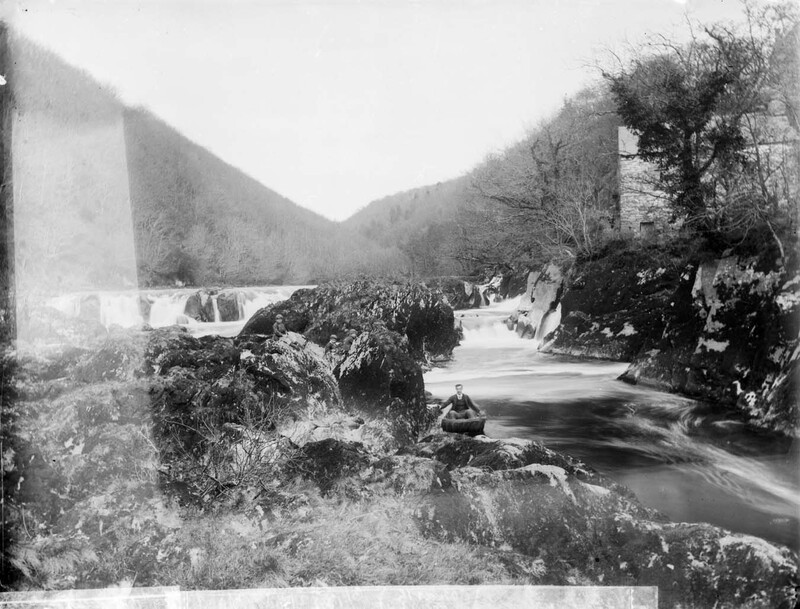 In 1861 it was claimed that the Teifi had developed into the “headquarters of coracle fishing”, with 300 in operation along the river in Llechryd, Cenarth and Cilgerran. 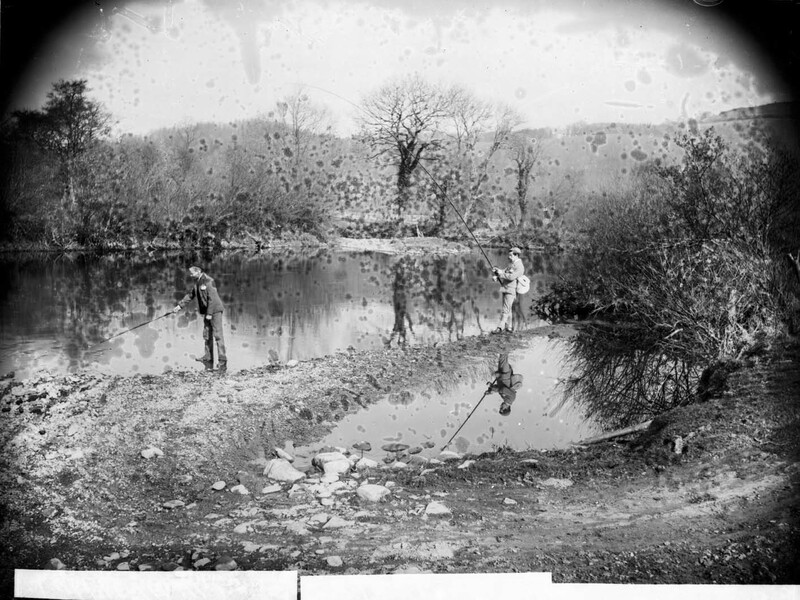 Banning of the "Shot Fawr"
1895 saw the banning of the “Shot fawr” seine net fishing on the Teifi estuary – whereby a seine net would be placed from one bank of the river to the other. A hundred hundredweights of cockles! In 1925, 102 hundredweights of cockles are gathered on the Dyfi estuary, near Aberdyfi. 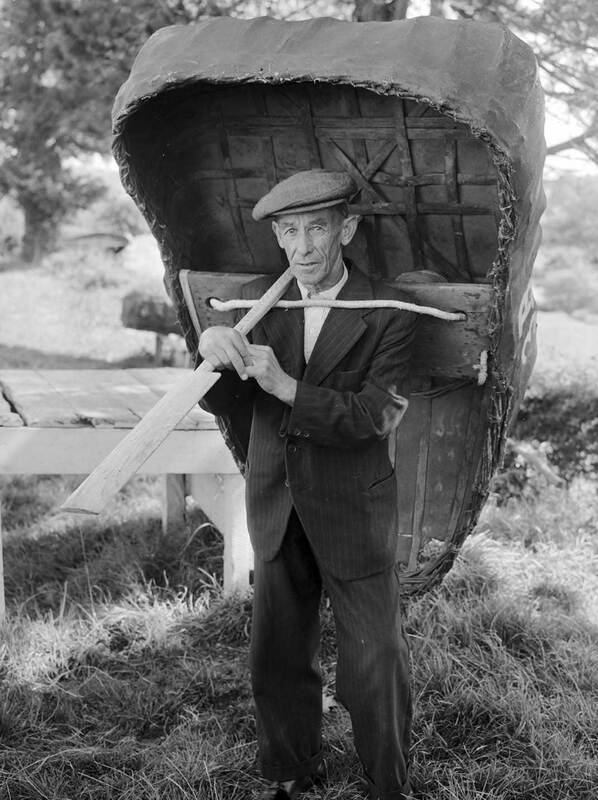 1986 sees the retirement of ‘Coracle King’ John Davies – the last licensed coracle fisherman on the Teifi. His retirement brings a 1,000-year-old tradition to a close. 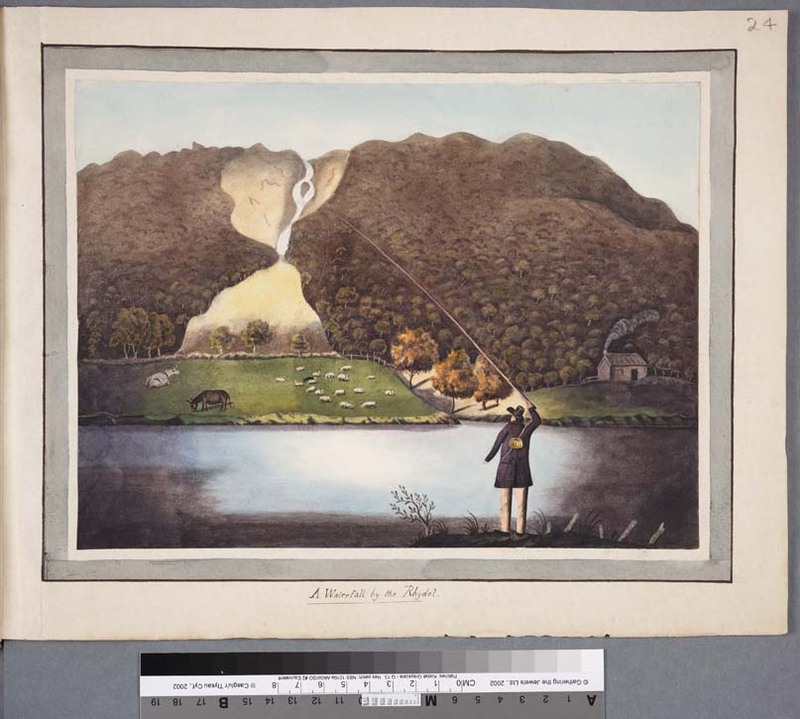 The emergence of fishing weirs are also seen on the County’s Southern Coast, in Llanarth, Trwyn y Garreg Ddu and Cei Bach, with the latter said to have yielded so much fish on occasions that horses had to be used to cart away the catch. Meanwhile, King’s Weir on the Teifi near Cilgerran was considered by George Owen as the “chiefest weare of all Wales…built of strong tymbr frames and artificiallie wrought therein with stone, crossing the whole river from side to side and having six slaughter places, wherein the fishe entringe remayne inclosed and are therein killed with an iron crooke proper for that use”. 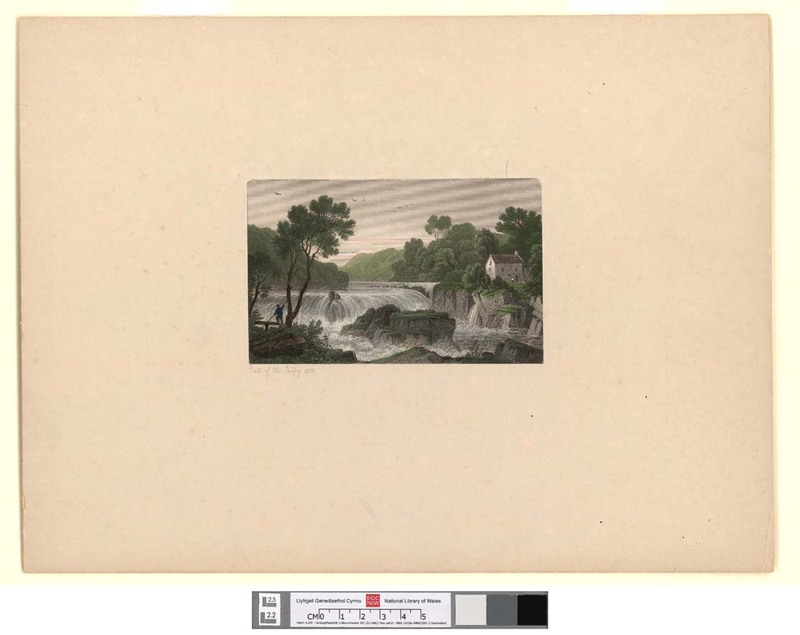 Owen noted that 140 salmon were once caught in the weir in one day of “most excellent, and for fattenes and sweetens exceeding those of other ryvers”. 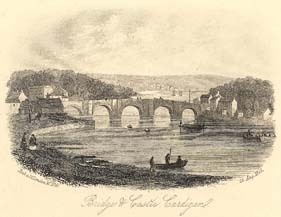 In 1176, as Lord Rhys prepares for the Great Festival at Cardigan Castle, the river Teifi is noted to be alive with fishermen in their coracles fishing for salmon. 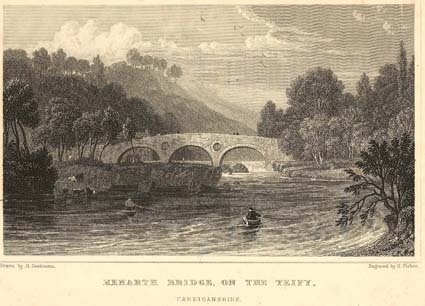 Accompanying the Archbishop Baldwin of Canterbury on a visit to Cardigan in 1188, Gerald of Wales draws attention to the “noble river Teifi” which “abunds with the finest salmon, more than any other river in Wales”. An enquiry for fishing on the Teifi in 1275 stated that the fishing rights were worth 3s 4d annually, but by 1280 the estimated dues were 5s. At the end of the 13th Century, Kind Edward II calls for the fishing weir on the River Teifi near Cilgerran to be levelled following its interference with a carriage of timber along the river travelling to Cardigan Castle. It would be rebuilt in 1314 by John de Hastings. The Aberystwyth Court Roll in 1302 sees between 20-30 cases connected with fisherman, with fishermen guilty of trying to escape Market tolls by selling fish on the beach, and others for fishing without proper licenses. 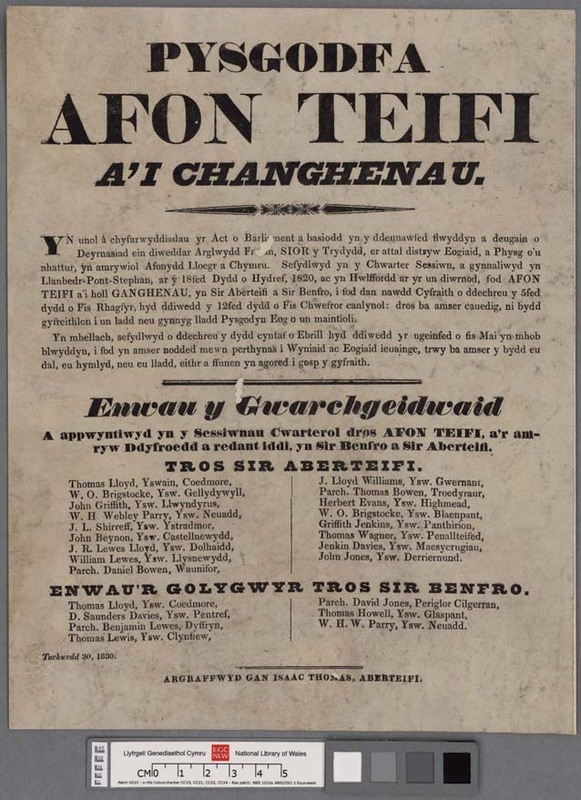 The rights of the Crown had to be acknowledged by the Aberystwyth fishermen whose normal arrangement was to pay five score herrings each time they went to sea. Later this became an annual payment of £1 10s known as a “Pryse, or castle, maes of herring”. 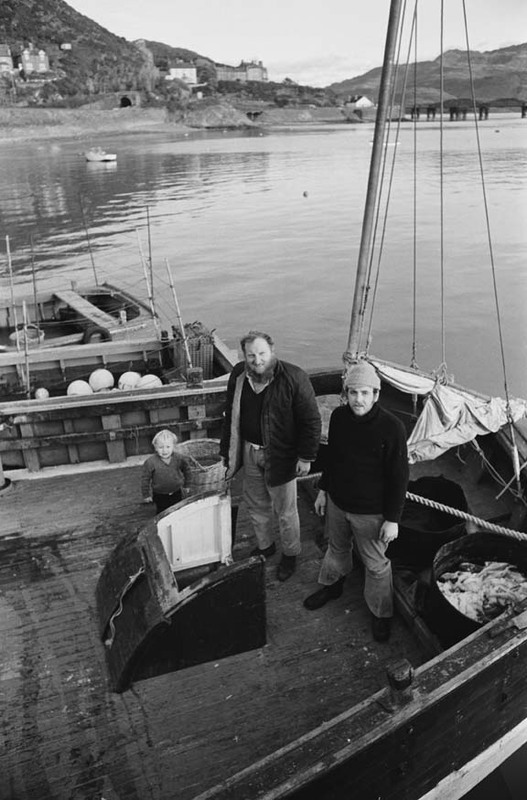 Later, when the Nanteos family held the lease, the first herrings caught in the bay each year were sent to the Nanteos estate, southwest of the town. 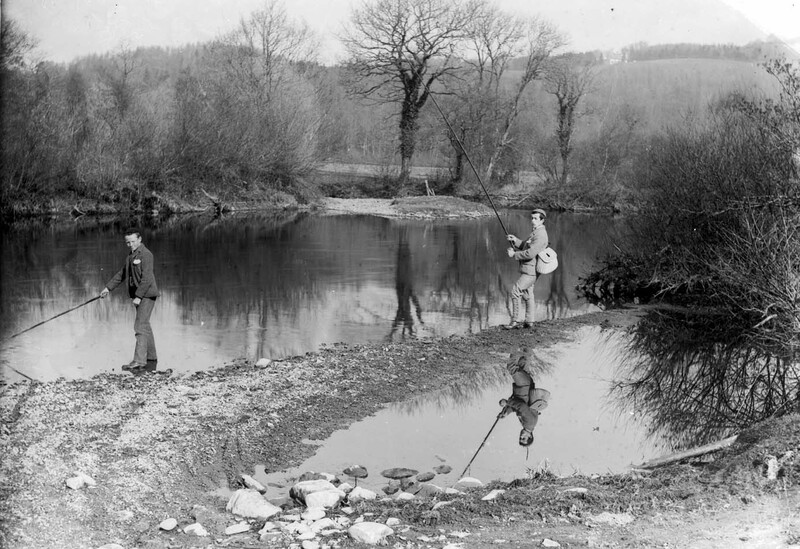 The only medieval evidence of fishing in the rivers near Aberystwyth comes from a statement made in 1343 that the toll for fishing in these rivers was 1s annually, which was payable to the Constable of the Castle. Between the 14th and the 17th centuries, 20 fishing boats were registered in Aberystwyth, with the occupation reported as the only profitable trade in town, and salted herring proving to be an important export. 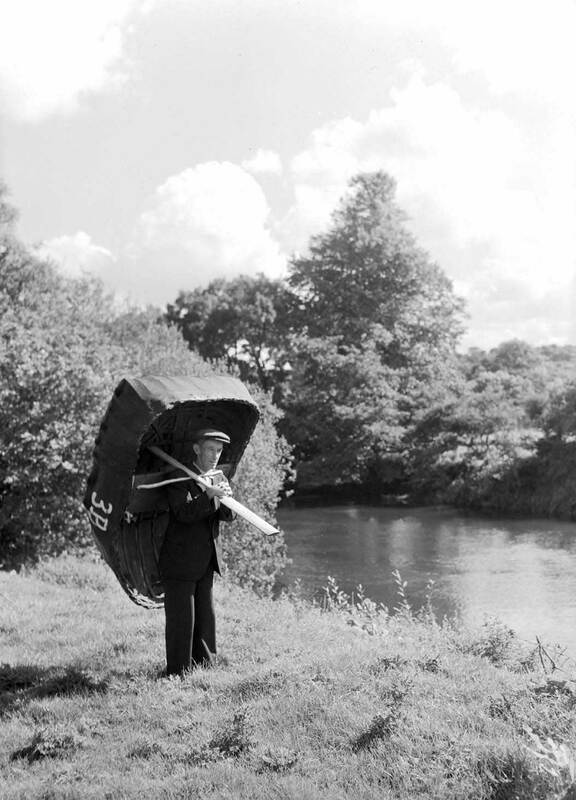 In South Ceredigion, coracle fishing on the Teifi river near Cenarth and Cilgerran develops into a significant trade. In 1578 the Piracy Commission describes that Cardigan “had no ships, barkes or vessels, but certain fisher boards of the burden of 4 or 5 tons at the most and these maintained by poor fishermen dwelling in and about the batten havens, creeks and landing places for the only use and exercise of fishing”. The 16th Century also sees the development of Aberporth as a formidable herring port, with an old tradition claiming that the arrival of the herring shoals in late August was heralded by the cry of a sea bird – Y Guto Gruglwyd – informing the coastal dwellers that the herring harvest could begin. In 1603, George Owen makes reference to the salmon of the Teifi, near Cilgerran, to be “most excellent, and fattenes and sweetens exceeding those of other rivers”. By the late 17th Century, Aberystwyth had developed into the primary port of Cardigan Bay, with herring the main catch. In 1745, 47 boats from the town caught 1,386,500 fish (worth £1,400) in a single night. 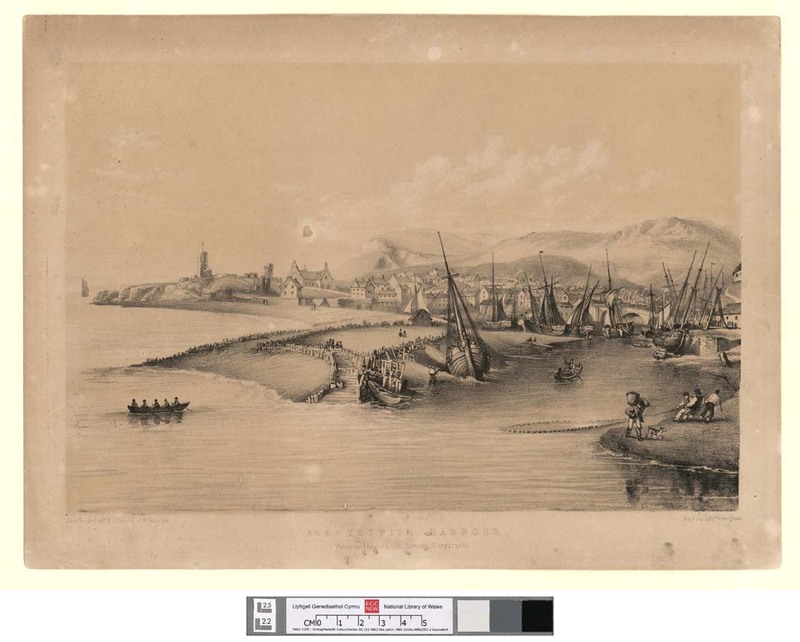 By 1755, 60 fishing vessels were based in Aberystwyth. Throughout the 17th and 18th Century, Cardigan remained heavily reliant on the fishing industry, with fish being the only export from the port. In 1701, a ship sets sail from Cardigan to the Canary Islands carrying 351 barrels of herrings, whilst in 1702, 1,734 herrings are sent from the town to Ireland. During the late 17th Century, Lewis Morris recorded a total of 38 small sloops fishing from Aberdyfi, Borth, Aberaeron and New Quay. In 1700, 4,290 bushels of white salt was imported into Cardigan from Liverpool alone. During this period salt became a vital ingredient for salting fish for transport. The 1705 and 1718 Bounty Act, followed by the 1750 Act for Encouragement of the British White Herring Fishery, phenomenally increases inshore fishing – with the latter leading to the creation of a Bounty of 30 shillings for every decked vessel of between 30 and 80 tons. Throughout the 17th and 18th Century, Aberystwyth continues to be an important herring station on Cardigan Bay. A list of tithes paid in September 1730 shows there were 24 vessels registered at Aberystwyth, boasting English names such as Success, Maria, Hopewell, Providence and Dove. In 1737, a 60-foot sperm whale was found stranded on Aberystwyth beach. During the 1740s, Lewis Morris calculates that Aberystwyth had 59 herring boats, whilst Aberdyfi, Borth and New Quay accounted for a further 38. On 5 October 1745, 47 fishing boats of about 12 ton apiece caught 2,160 meises of herring, amounting to an incredible 1,360,800 herrings (total weight about 54 tons). It took 1,111 barrels to cure the entire catch! 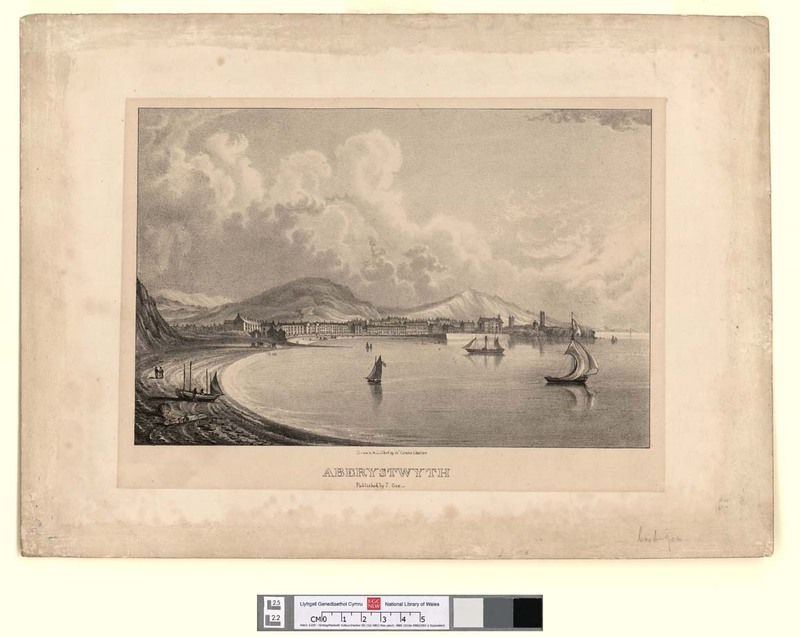 In 1748, Lewis Morris describes Aberystwyth as “one of the greatest fisheries in Wales”, whilst observing in Aberdyfi that “Here, and at Borth, they have some years a good herring fishery, and of other fish a constant plenty. But their chief commodities are timber and oak bark. When the smelting-houses at Garreg and the Silver Mills were up, this place was noted for the Lead Trade”. The 1748 publication of Lewis Morris’s book also mentions Aberdyfi fishermen (possibly in conjunction with ones from Borth) catching over 1,000 barrels of herring in a single night. In 1755, it was reported that there were 60 fishing vessels in Aberystwyth, each 10-12 tons each, carrying 7 men apiece, with many of these craftsmen, apprentices and labourers. In November 1788, cod of thirty to forty pounds were being sold for 3d and 4d each, whilst man-sized monk and angel fish were reported to be especially plentiful around Sarn Cynfelin, near Aberystwyth. In November 1789, there were between 2,000 and 3,000 barrels of herring from Aberystwyth lying on the quay sides in the Isle of Man awaiting shipment to Mediterranean ports, where they were then sold at twenty-five shillings a barrel. Writing in the early 18th Century, an unknown scribe describes Aberystwyth’s abundance of fish thus: “its fishing trade for cod, whitings but principally herrings…The herring fishery here is in most so exceedingly abundant that a thousand barrels have been taken in one night…In addition to herrings, they have such an abundance of Cod, Pollack, whiting, Common Whiting, Ray and other fish that they set but little value upon them. Bottlenoses and porpoises sometimes run on shore in shoals and blue sharks are frequently caught upon the coast, from all which they make considerable quantities of oil”. By the end of the 18th Century, the herring fishing industry started to decline in Aberystwyth following pollution caused by the lead mining boom, leading to the fish leaving the area in search of plankton. The situation became so bad that herring was described as “a stranger to the coast”. During the late 18th Century people would come from Herefordshire all the way to Aberaeron on horseback to collect fish; carrying it back in large baskets either side of the horse. Evidence of the abundance of Aberaeron herrings are alluded to in 1791: “We present all persons that shall throw or dispose of any filth such as dead stinking fish or any other kind of obstruction that shall be deemed a nuisance into the river and shall be fined 1 shilling”. A decline in herring numbers following 1800 sees a significant increase in the activities of wreckers along the coast from St Davids to Aberaeron. By 1816, this ‘iniquitous’ practice had become so common that the Bishop of St Davids charged the local clergy with the duty of putting a stop to the plundering and instructed them to preach on the subject at least two Sundays during the year. 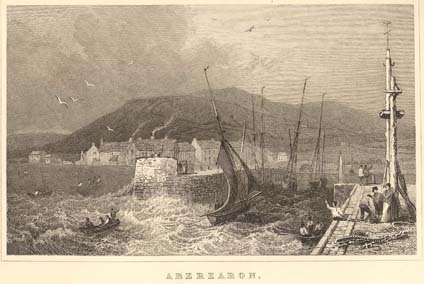 One of the earliest records of fishing in Aberaeron refers to October 1806, when the nightly catch of each boat was between four and five thousand herrings “from which the poor derive great benefit”. 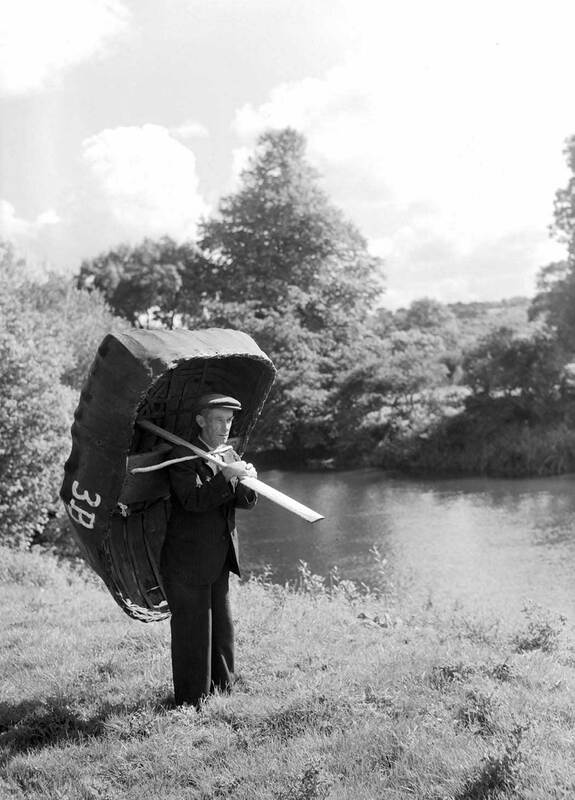 During this period, coracle fishing continues in South Ceredigion, with reference to the Teifi river salmon in 1807 as “the most excellent in Wales”. 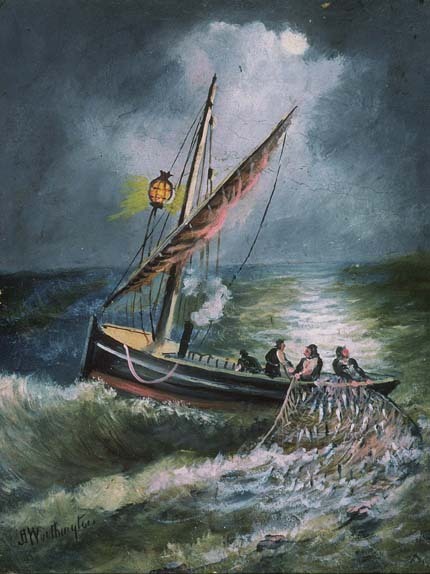 In 1808, New Quay and Aberaeron fishermen caught nine million herrings in one night. Despite the decline of the herring industry in Aberystwyth in the late 18th Century, it would continue to be important for other areas of Cardigan Bay throughout the 19th Century. The fishing industry in Llangrannog, Aberporth and Cardigan continued to rely heavily on herring, with a contemporary describing Aberaeron as “a lucrative herring fishery, in which about thirty boats, with seven men to each are engaged”. During the 19th Century, fishing continues to be important for Aberporth, with a contemporary noting that “the herring fishery in the bay gives occupation to a great number of hands and imparts during the season an appearance of activity and bustle to Aberporth and its vicinity, but the fishing for turbot, cod and mackerel is scarcely worth pursuing”. 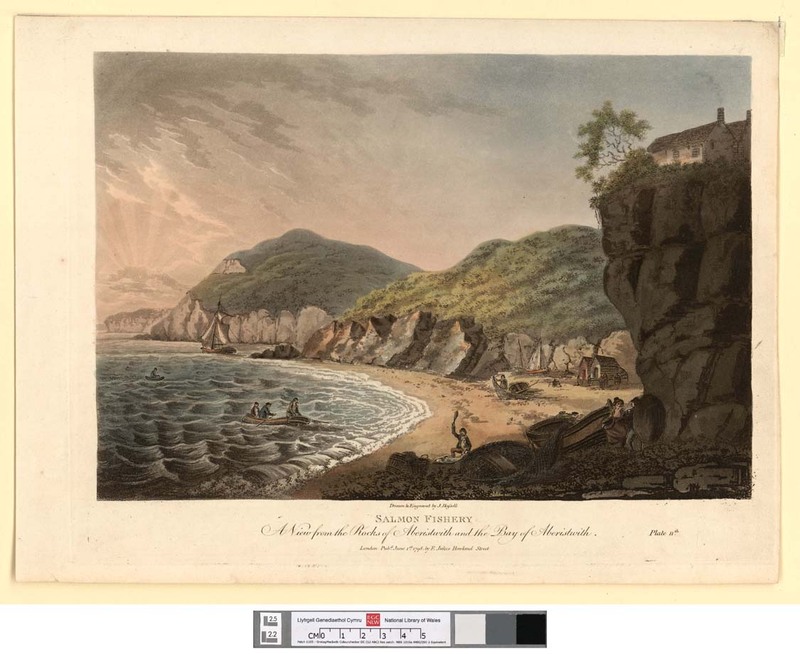 Meanwhile, New Quay is noted to have had “fish of superior quality…soles, oysters and turbot being taken in great numbers”. 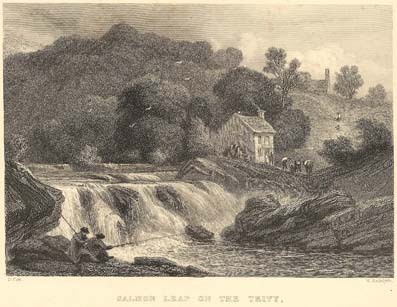 A traveller in the early 19th Century called Malkin, describes salmon from the Teifi as “esteemed the most excellent in Wales. 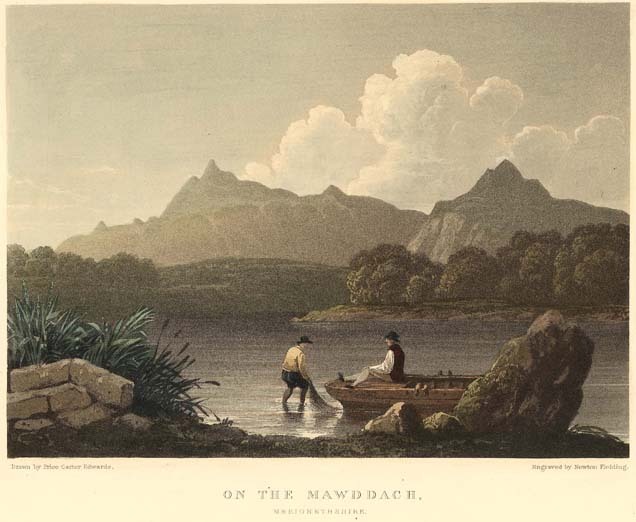 There is scarcely a cottage in the neighbourhood of the Tivy, or the other rivers in these parts, abounding with fish, without its coracle hanging by the door”. In 1816, the deterioration of the fishing industry in Aberystwyth is reflected in the fact that there was only 1 listed fisherman out of 343 households in the town. By 1830, fishing in Aberystwyth is quoted to be “relatively unimportant”, with “herrings and cods taken occasionally”. The 1830s sees around 40 small herring boats fishing out of Aberaeron, with carriers coming from every part of England, and so busy with trade that on one occasion Shon Trwmpike (toll-gate keeper) collected £5 before breakfast time as tolls. Whilst mentioning the New Quay fishery, a contemporary describes the area’s herring to be of “very superior quality”, whilst St. Dogmaels on the Teifi estuary is described to have been “one of the principal stations for the herring fishery”. By 1835, Cardigan had developed into a significant shipping port, described at the time as to have offered “a bustle in its shipping department that very few places of its size can boast”. By 1848 its exports and imports reached 11,036 tons, with vessels employing nearly 1,000 men, with the 253 ships attached to the port registering 14,246 tons. By the mid-19th Century, shellfish fishing had grown to be of considerable importance to Penbryn Beach and the surrounding area. 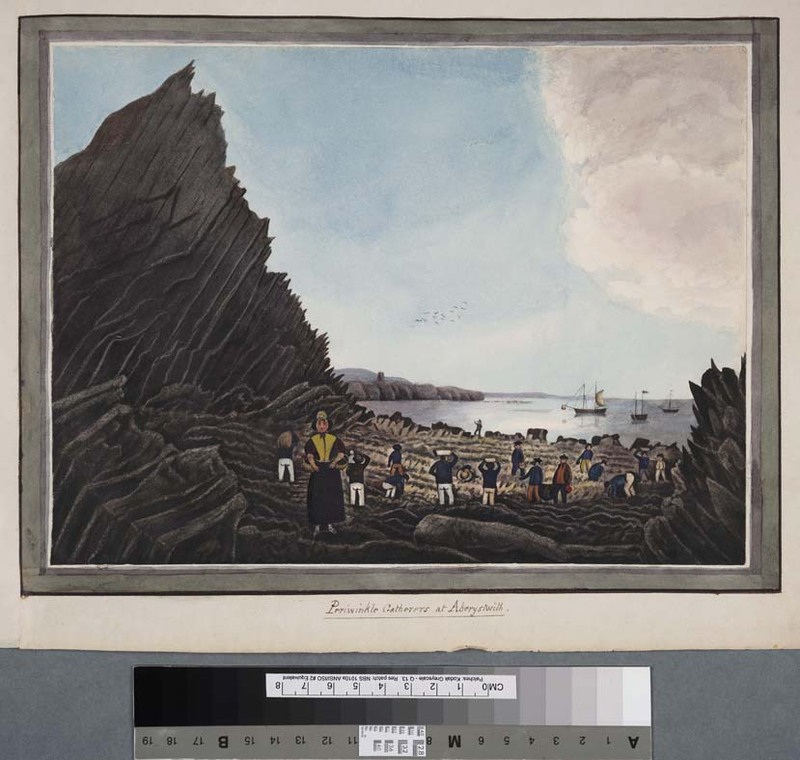 Mussels, limpets and periwinkles were collected, whilst in July and August sand eels were also harvested, with men, women and children gathering on Penbryn Beach in the moonlight after the tide had receded. The 1860s sees the beginning of large scale operations with the aim of developing Aberdyfi into a principal fishing port and depot connected by the Cambria railway. However, despite the project being almost completed, it never materialised following the railway panic of 1864. 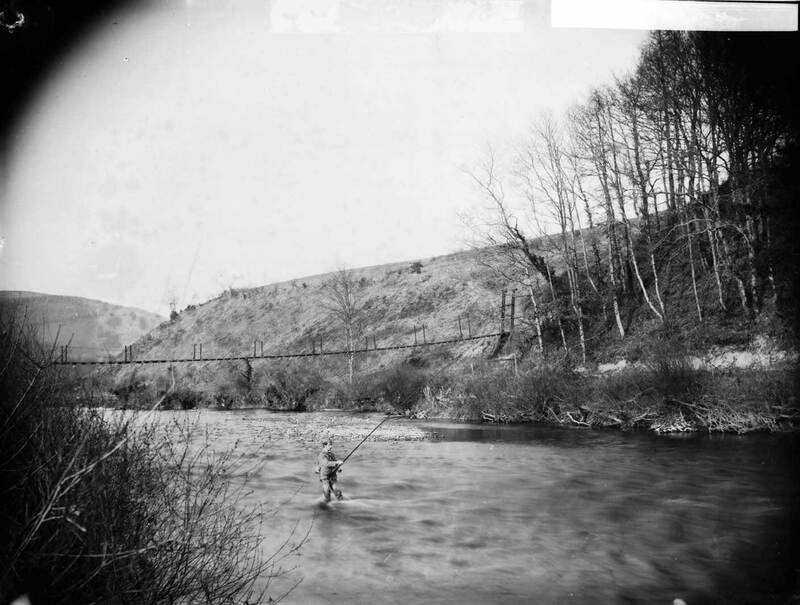 Evelyn Lewis in The Goredi near Llanddewi Aberarth, Cardiganshire (1924) records 12 fishing traps in use between the Aeron and the Arth in about 1860, with only 6 operated in 1896, and two by the 1920s. 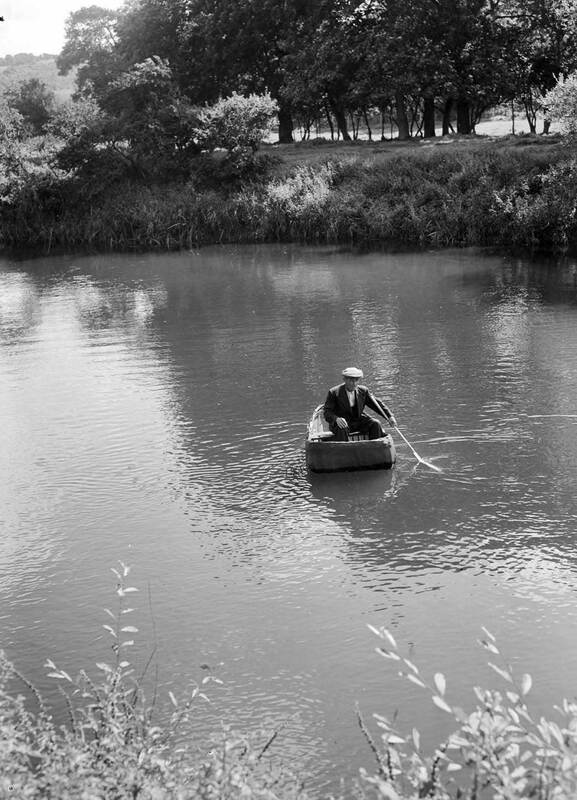 The introduction of licences during the 1860s leads to decline of coracle fishing in areas such as Llandysul, however, the industry continues around Cenarth. 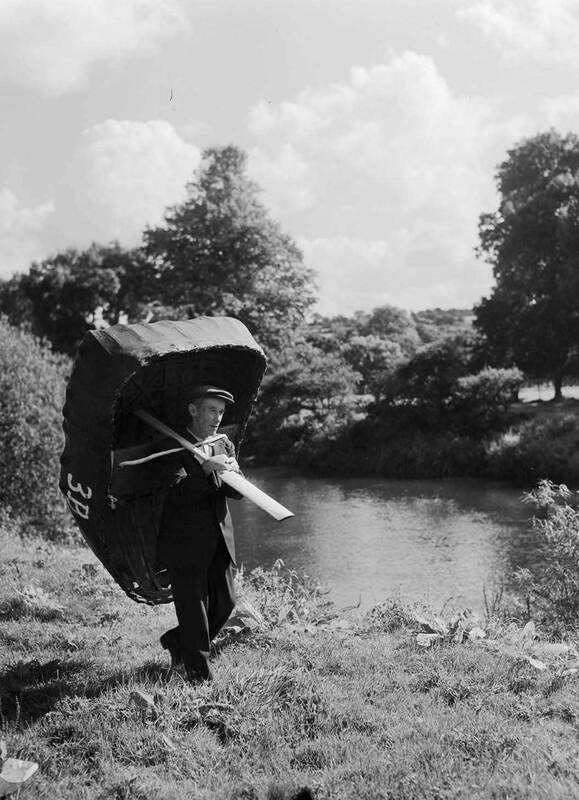 A sum of 10s 6d is needed for a rod and line license, with a coracle netting license costing 1 guinea. Fluctuating stocks of herring continue in the area around Aberdyfi for the final decades of the 19th Century, however, 1870 was considered to be a significantly successful year for the town, with thousands caught in one night. 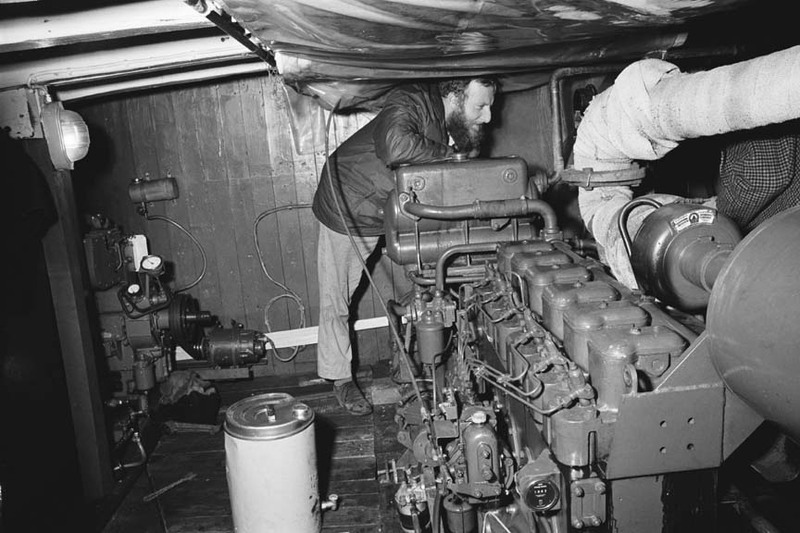 An attempt was made in 1864 to reinvigorate the fishing industry in Aberaeron, with the formation of the Aberayron Deep Sea Fishing Company and the building of the trawler ship The Albatross. The aim of the company was to trawl the bay and make a great profit, but due to lax management the boat was eventually sold to New Quay. 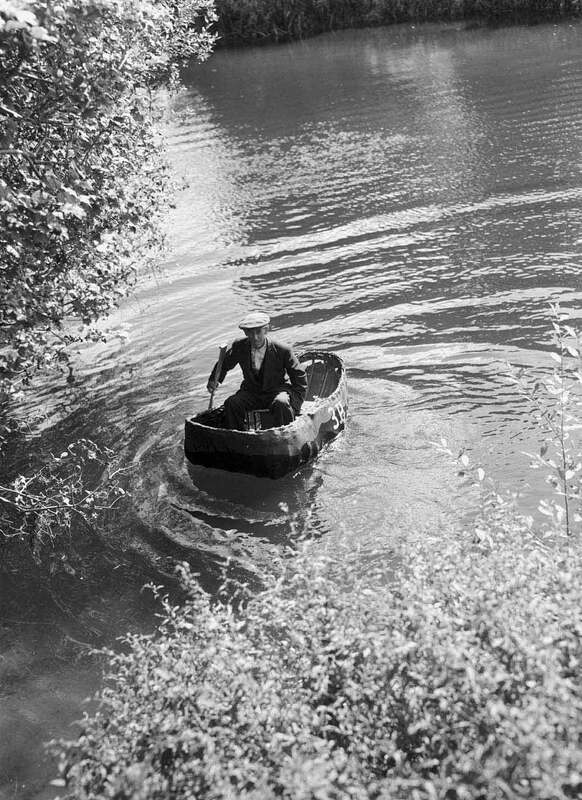 During the 1860s, coracle fishing on the Teifi was divided into four sections amongst the riverside villages (Llechryd, Abercuch, Cilgerran, Cenarth), and custom dictated that only fishermen from one of these four villages might fish in those sections of the river. In November 1867, a number of men were caught fishing for salmon on the Teifi and jailed for 3 months for not having a license. The resurrection of the fishing industry in Aberystwyth coincided with a decline in its shipping counterpart, resulting in more space for fishing boats in the town’s harbour. In 1872, 83 fishing boats were registered at Aberystwyth, although many of them belonged to New Quay, Aberaeron, Borth and Aberdyfi. 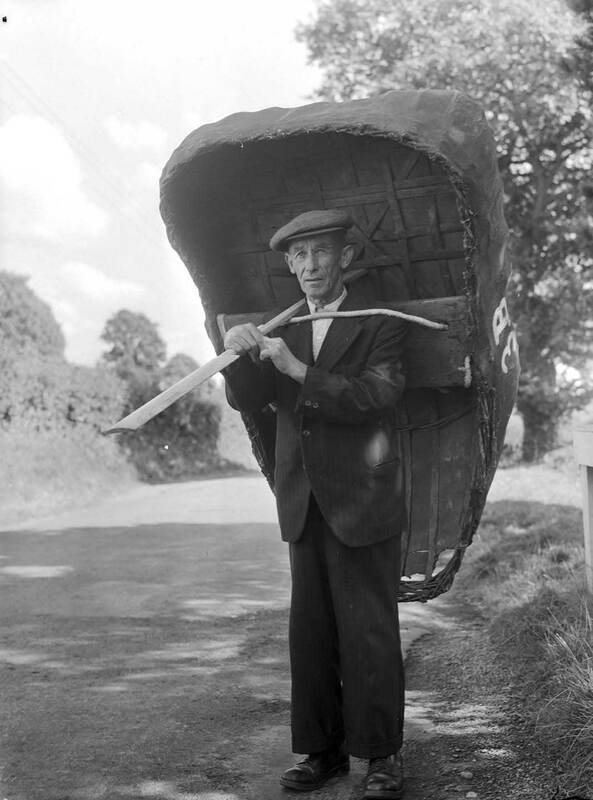 With South Ceredigion known for its plentiful herring catch by the 19th Century, the women would increasingly take roles of hawking the fresh fish from baskets on their backs. In St Dogmaels in 1872, Nansy Sgadan and Nel Sgadan were well-known sellers outside the Shire Hall, with the average herring selling for 1/2d. Unfortunately for Cardigan, St Dogmaels took complete control of the herring fishery, leaving Cardigan to concentrate on its thriving coasting trade. 1874 proved a bad fishing season for Aberaeron, with an average catch per boat of 50 herrings. However in 1882, Captain Evans of the Briton catches 1,600 herrings in the first week of October. During the final decades of the 19th Century, Aberystwyth experienced a revival in its fishing industry, once again becoming the principal fishing town in Cardigan Bay. Aberystwyth increasingly starts attracting more fishing boats from afar – in 1878, 27 fishing boats visited Aberystwyth, while by 1884, many trawlers had come from the ports of Liverpool, Hoylake and Fleetwood. 1879 sees Captain Gwynne seeking to encourage the fishing industry at Aberaeron by purchasing Sarah. Such investment would prove successful, with a significantly good haul caught in May 1879, including soles, trills, turbots, gurnets and enormous angel fish. In 1881 Aberystwyth was described as “the most considerable fishing station in Cardigan Bay”, with nine second-class boats totally over 60 tons in weight, and 52 small herring drifters. 20 boats Seine-net fishing off the Teifi estuary in June 1882 catch 85 salmon in one evening. The decline of Cardigan as a port from 1883 with the arrival of the Cardi Bach railway, is reflected in a newspaper report from the late 19th Century: “There is but little craft in the river and it is difficult to believe that a century ago, the trade of the port was larger than Cardiff. In addition to the competition of the Steam Coaster and later of the railway (from Carmarthen) the port has suffered greatly from the gradual silting of the harbour making the bar and lower channel a source of some danger”. A contemporary notes that in 1883 “as much as half a ton of salmon was caught in the lower reaches of the river [Teifi] and sent to London and other places in one day”. By 1884 the shrimp industry had grown into the main fishing industry of Borth, with 20 fishing boats. Meanwhile, in New Quay the sole and oyster industry became equally significant. 1884 sees 300 people engaged in fishing at Aberystwyth, with turbot, brill, mackerel, soles, herring, cod, ray, mullet and salmon off the mouths of the rivers all being targeted. 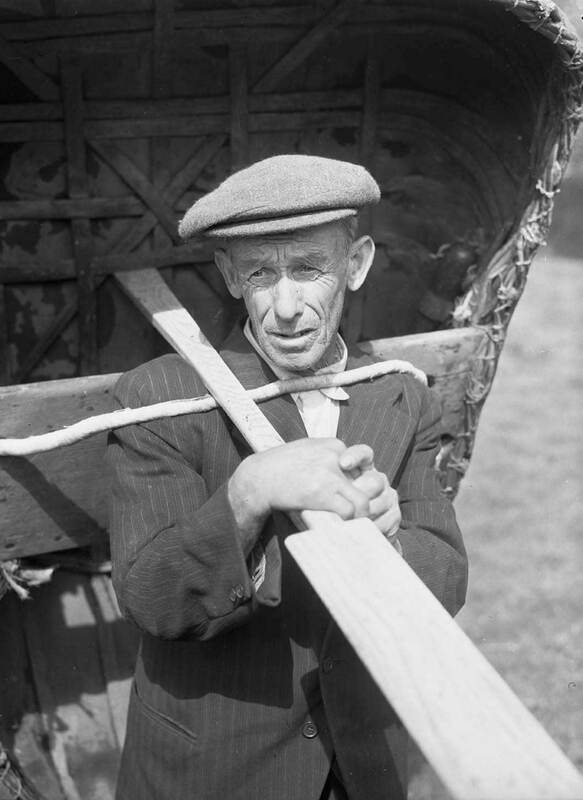 Seine-net fishing develops as the main occupation of the inhabitants of St Dogmaels, on the Teifi estuary, fishing for both salmon and sewin. By 1884, a total of 62 netsmen were licensed in the area, catching as much as half a ton of salmon a day in the lower reaches of the river. 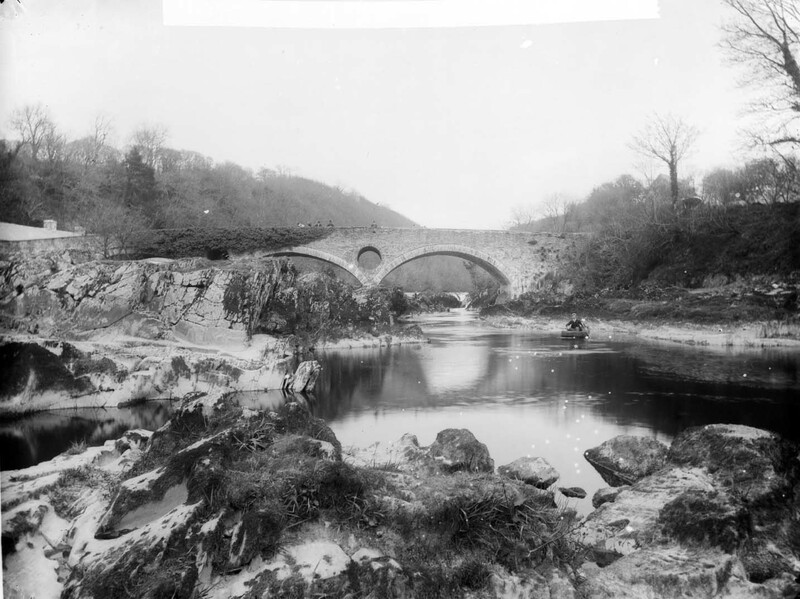 A law introduced in 1886, announces a period of ‘Close Season’ on the Teifi for 154 days – usually confined to between September 1 and February 1. Fishermen with a fishing license for the 7 other months were usually limited to 4 months fishing on the river, due to the water being too cold to start fishing before the end of April. In 1888, the Aberdyfi-based ship, Cetawayo, under the captainship of D. Williams, catches 94 ‘mwys’ of herring (one ‘mwys’ contained 620 herrings) in one night. The catch was considered to be a local record. In 1888 the fishing-weir near Aberarth was so crammed with herring one morning that three donkey carts were required to remove them. 1889 proves to be a disappointing period for fishing at Aberdyfi, with 6 local fishing boats failing and a violent storm sinks numerous small boats, including a fishing vessel. In contrast, 1889 proved to be a notably successful salmon season on the river Dyfi, with 5 boats sharing £75 for a week’s work, whilst Captain Owen Williams caught an 18-pound salmon. 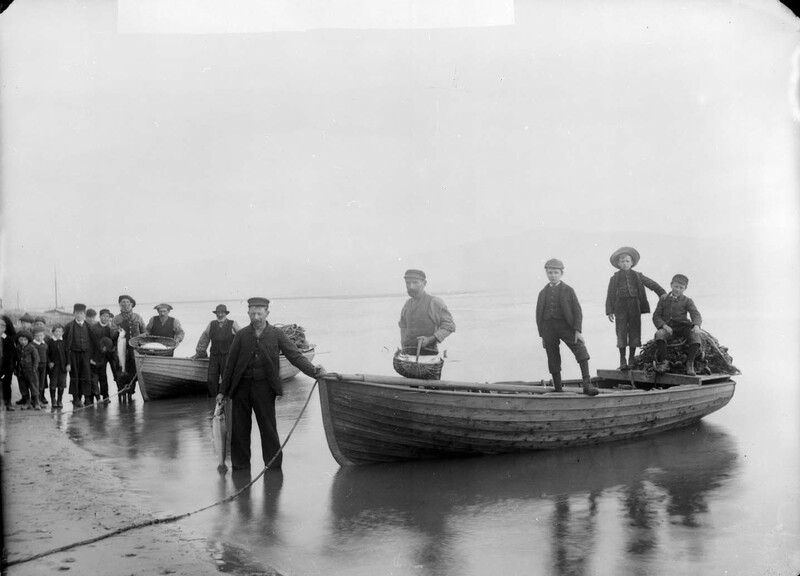 The end of the 19th Century witnesses increasing attempts by locals in Aberdyfi and the surrounding areas to develop a mussel bed on the Dyfi estuary. In 1907, this is threatened by intrusions by mussel fishermen from The Wirral – leading to local people attacking them. 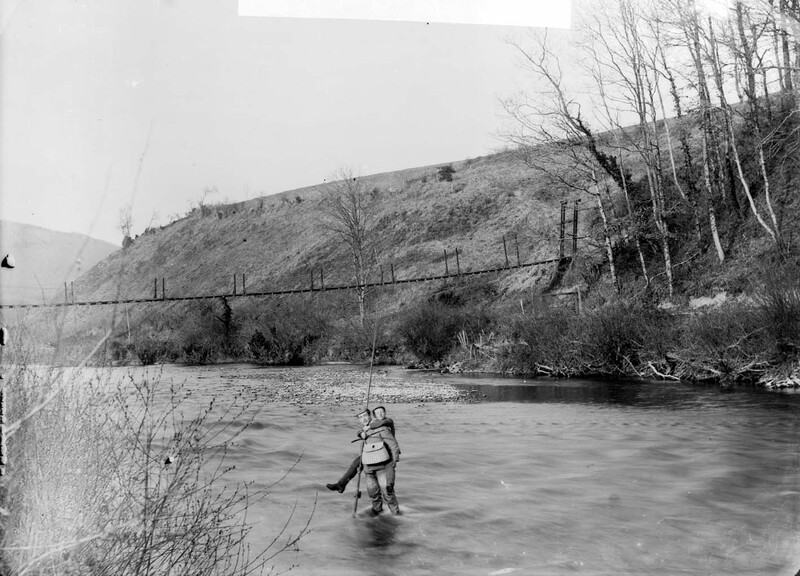 Mussel fishing came to an end in the area by 1939. World War One (1914-18) hastens the decline of fishing in Cardigan Bay, accompanied by a serious general decline in the fish stocks of the Irish Sea. By 1928, only 10 boats were operating commercially from Aberystwyth Harbour, with only 1 a first-class fishing boat. With the decline of herring stocks in the early 20th Century, a rise is seen in the lobster and crab industry, with 631 lobsters and 120 crabs landed between New Quay and Aberaeron between 1902-06. 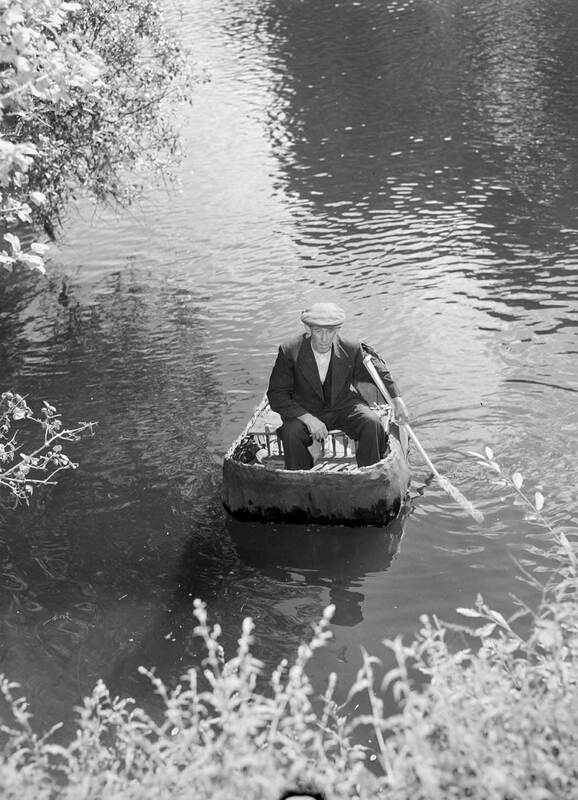 The 1920s sees the death of Cardiganshire’s last weir-keeper. 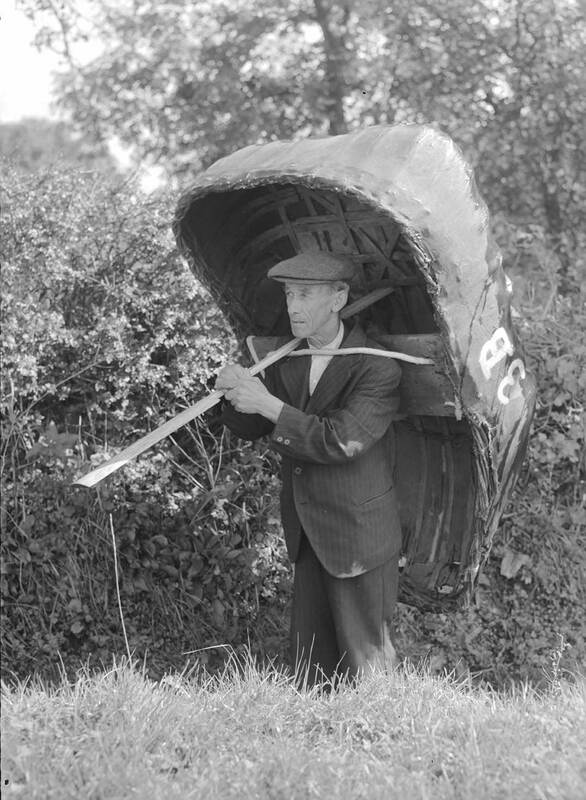 During the 1920s, part-time lobster fishermen begin to emerge in seaside villages like Aberporth, Llangrannog and New Quay. 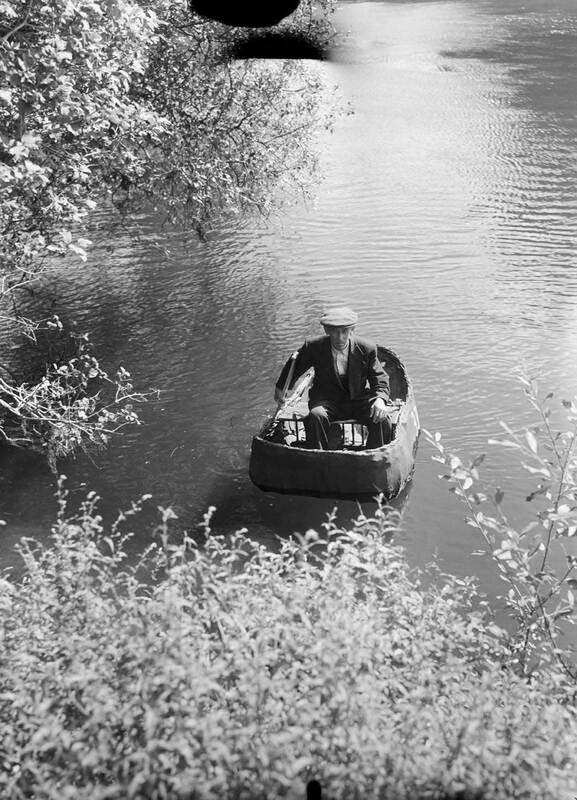 By 1935 a bye-law by the Minister of Agriculture and Fisheries puts severe restrictions on coracle fishing, heralding a significant decline in the economy of Teifi Valley. By 1971 there are no licenses. 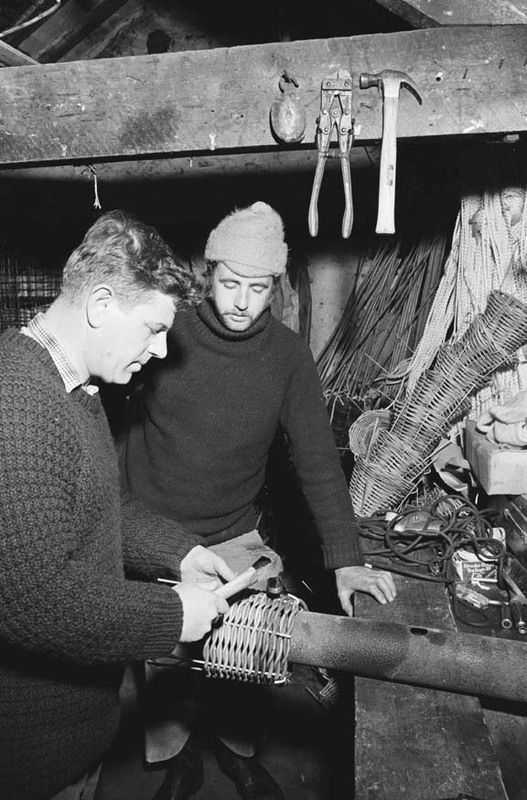 Following the outbreak of the Second World War in 1939, a steady decrease is seen in seine-net fishermen, down from 13 boats of 5 men each in 1939, to 6 boats of 4 men each by 1990. 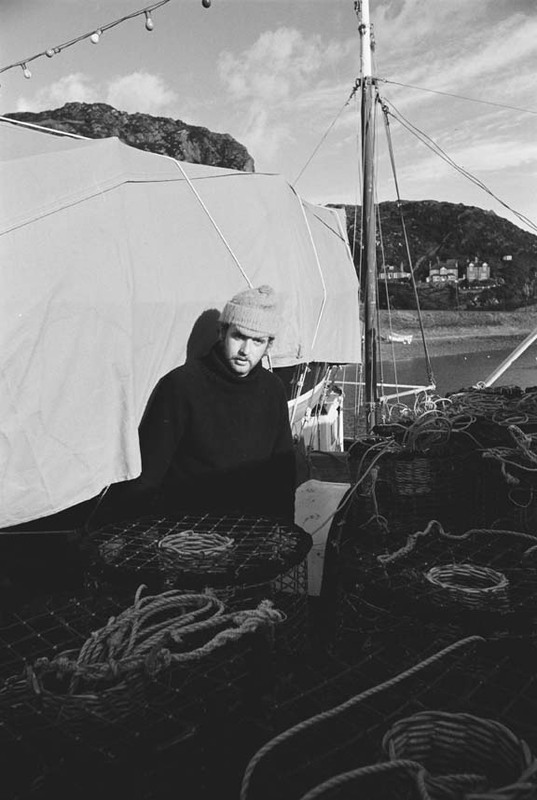 After 1945, attempts were made to start a Lobster fishery in Cardigan Bay. 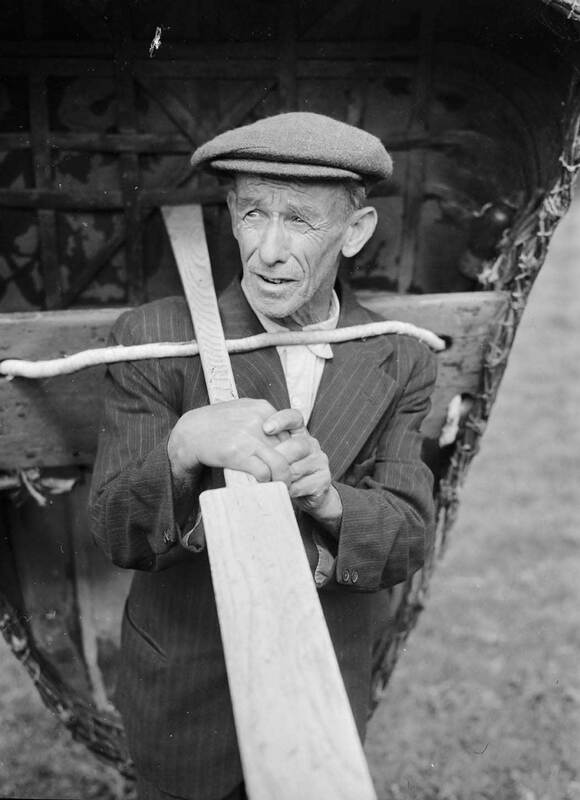 The availability of larger boats, many of them old ships’ lifeboats, proved invaluable as they were capable of carrying a larger number of pots. 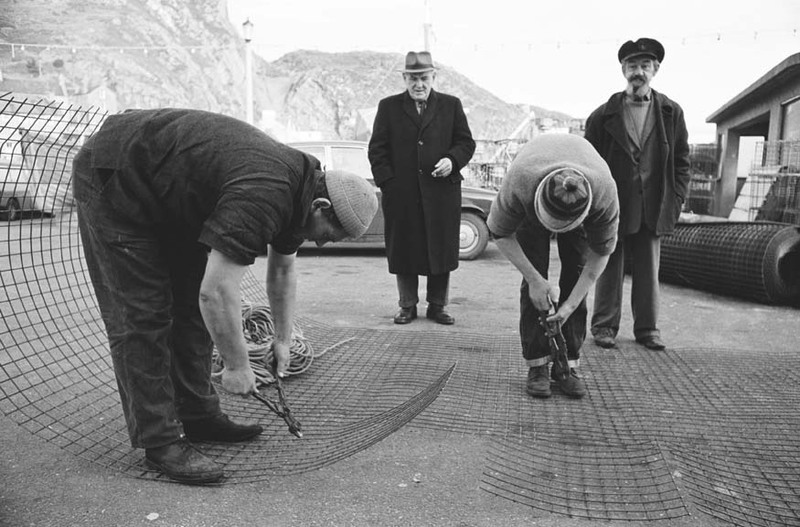 By 1958 Lobster fishing was the dominant form of fishing in Aberystwyth, with four vessels involved in the industry. 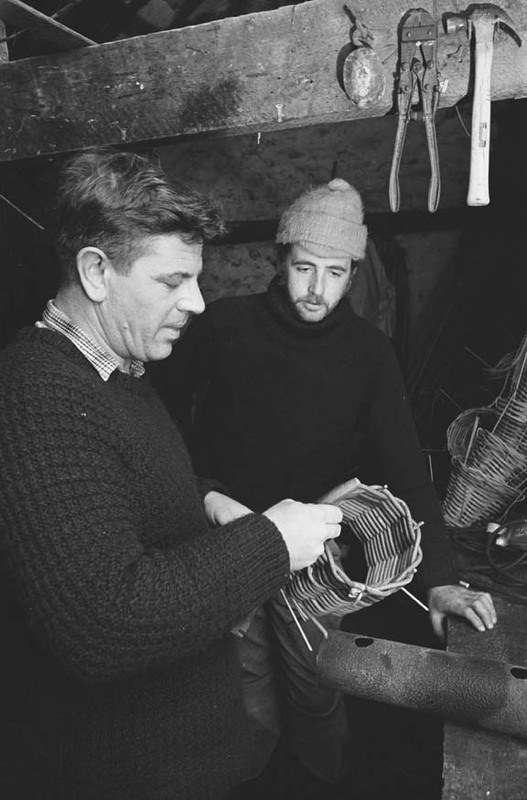 A report from a Devon crab expert in 1979, announced following a three-week research trip off Cardigan Bay, concluded that there were not enough crabs in the Bay for a sustainable industry. By the early 1980’s, an average of six tonnes of Lobster were being landed at Aberystwyth annually. The Cardigan Bay lobster is regarded as being particularly tasty and the majority end up in restaurants in France. Recent growth in tourism leads to a decline in the year-round fishing industry, as boat captains increasingly take tourists on pleasure trips around Cardigan Bay. 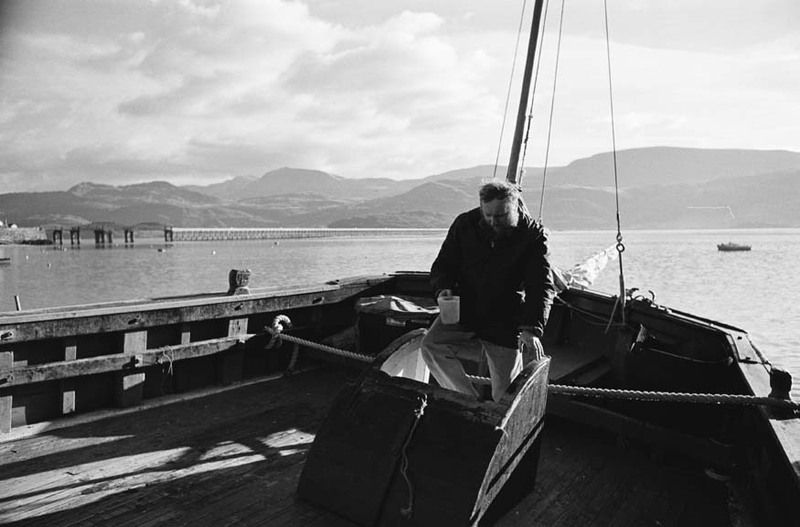 In 1988, fisherman Robbie Gorman caught a Crayfish in Aberystwyth – the first to be caught in the town for over 40 years. August 1999 sees another end of an era with the last net seine net fishermen on the Teifi Estuary, near St. Dogmaels. 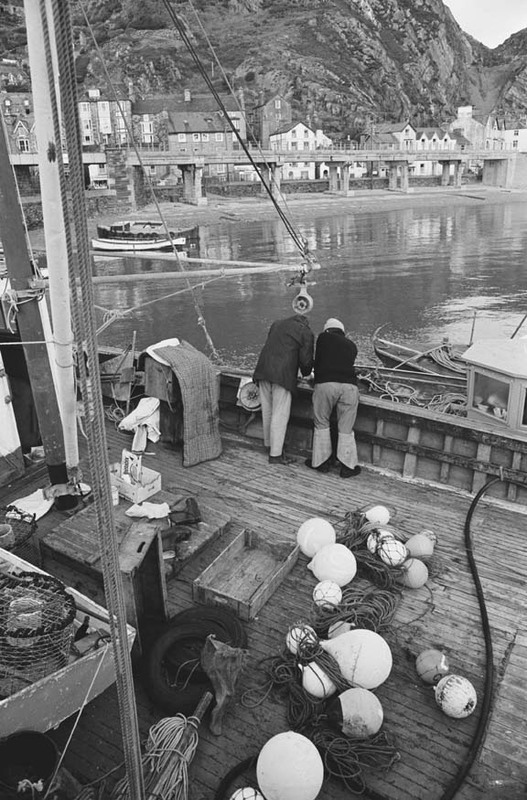 Please feel free to look through our collection of images - both past and present - of the fishing industry of Cardigan Bay. You are able to request high resolution versions of the non-historical images to use in your marketing promotions. Incorporating traditions that are centuries old with the use of modern equipment, the selection of videos below give a snapshot of how the fishing industry operates in Cardigan Bay today. All videos are available upon request.